Ronin Recovery is a specialized recovery company that locates and repossesses even the most difficult to find items for clients. We find what the normal repo company cannot locate. There is nothing more disappointing than to hire a repo company and it not do what it was supposed to do. Come to us when you cannot get the job done by others. Our company strives to procure all repossessions no matter how difficult the task may be. We provide quality skip tracing services on top of a high-end fleet and we believe in keeping up with the latest technology in this field. Our fleet of vehicles includes 10 spotter units, which are used by our field agents 24 hours a day and 7 days a week to run accounts and scan tags to add to our existing database. 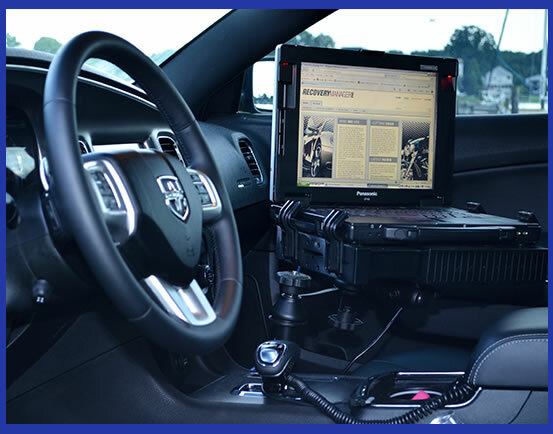 If you need our ALPR (Automated License Plate Recognition) systems, call and ask us for additional information. Our staff will be glad to provide the additional information you need to make a well informed decision. We also have four tow trucks and one is always on standby at our lot to move whatever units needed. We keep track of all of our units 24/7 through their GPS components to ensure they are on the job running your account according to where they say they are. This also ensures the location of your collateral at all times. Each unit also is equipped with an accident camera to guarantee we have the best possible drivers dealing with your property. We also provide safe and secure storage of our clients' collateral in our storage locations that have a 24-hour surveillance system to protect all the collateral. There is also storage available for boats and other large-size pieces of collateral. We provide our services to financial institutions such as banks and credit unions, and automotive and other types of repossession companies. Our company serves the Maryland, Delaware, and Washington D.C areas. We are also going to be offering service soon to the Pennsylvania area. Feel free to contact us if you have any further questions. You can also submit a job to us on our Submit Assignment Page. We are your best choice of re securing your high-risk collateral. Our company is the only repo company in Maryland that is also a private investigation company. Thanks to our sister company, Ronin Intelligence, we can conduct thorough investigations that assist in the recovery of your collateral. Ronin Intelligence handles many types of investigations. We work together to locate your collateral, so it can be recovered in a timely manner. We immediately dispatch personnel into the field as quickly as possible when our clients send us an order for repossession, so that we can get right to work on their assignment. Your satisfaction is extremely important to us and fast service is just one way we try to earn it. Our company strives to stand out above the rest of the repo companies in Maryland and the other areas that we serve. Have a difficult repo job for us? Did you try some other company before us that failed you? We specialize in difficult, high-risk repossessions. Contact us today to see how we can help you reclaim your collateral.